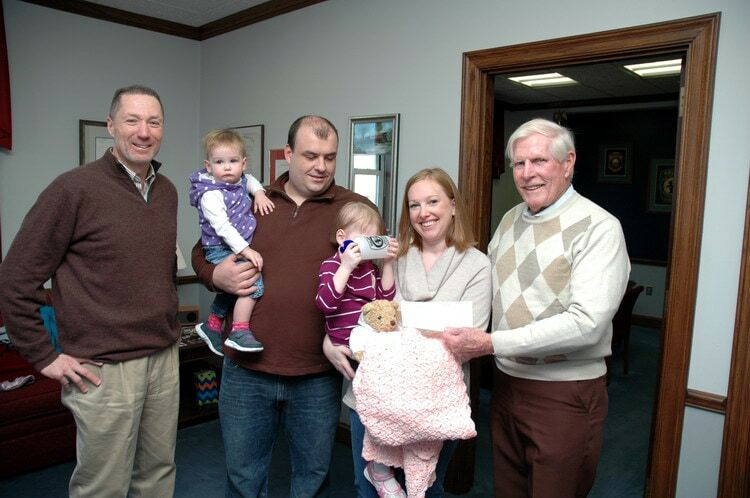 On Friday, January 17, 2014, Cops For Kids With Cancer went to the Salem Police Department and made a donation to the family of Ava Bannister, a 3 year old girl from Salem who has ALL leukemia. In photo left to right. Chief Paul Tucker, dad Nick with Ava’s younger sister. mom Emily and Ava.